William Morrow Paperbacks, 9780062093639, 320pp. A fresh, fun, totally addictive debut—by turns hilarious and tragic—by a gifted new writer, Losing Clementine follows a famous artist as she attempts to get her messy affairs in order en route to her eventual planned suicide a month later. 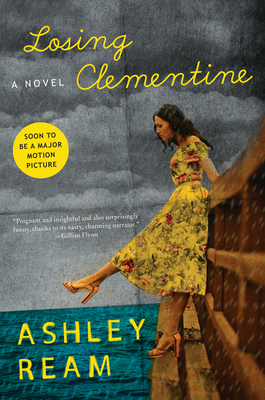 First time author Ashley Ream takes a usually macabre subject and makes it accessible, relatable, and funny, and, in Clementine, has created one of the most endearing and unforgettable characters in recent fiction. Ashley Ream got her first job at a newspaper when she was sixteen. After working in newsrooms across Missouri, Florida, and Texas, she gave up deadlines to pursue fiction. She lives in Los Angeles and works at a nonprofit. How do you feel about Clementine's decision to kill herself? Was she justified? Is there ever a justification? Although not a cook herself, food plays a prominent role in Clementine's life. Do you see any correlation in what she eats and her mental state at different points in the book? Why do you think Clementine slept with Richard in Tijuana? Why do you think Richard slept with Clementine? Was Clementine justified in defacing Elaine's work? Did the gallery deserve any blame for the knock-offs of Clementine's work? A major theme in the book is the effect serious mental illness has on the patient's loved ones. Clementine was one of those loved ones while her mother was ill and then is the patient during the book. How do you think being on both sides of the issue affected Clementine's behavior? Do you believe Clementine acted responsibly in the way she planned her death? How do you feel about Clementine's relationship with her therapist? Do you believe this relationship played a part in her decision to stop treatment? How do you feel about Clementine's decision to tell her friends she has cancer? Was it a kindness or was it cowardly? How important to the book is the city of Los Angeles? Could the story have been set anywhere or did the city have an important role to play? Richard wants to save Clementine and has wanted to throughout their relationship. How has this affected each of them? Reflect on the art Clementine creates throughout the book—the perverted Americana scenes, the dying buffalo, the centaur figure. What symbolism do you see? What do you think of Clementine's argument that art always belongs to the artist? The three main art world professionals in the book are Clementine, Elaine Sacks and Carla—all women. Do you think gender plays a role in how they interact with one another? What do you think about Jenny's reliance on Clementine? Does it change in the course of the story? Clementine's father feels culpable in the deaths of her mother and sister. Is he? Clementine spends most of the book attempting to disentangle herself from her responsibilities. How successful is she? What do you think happens after the book ends?